1. QB “Battle”: Unquestionably, the number one “thing to watch” for today was the quarterback position. The return of the prodigal son, Everett Golson vs. the self-confident Malik Zaire. Twitter and Mike Mayock have declared the big winner of the day to be Zaire. I’m critical of Mayock’s analysis though because he did not tell me Zaire’s height and weight. Mayock, when in full lather over a particular player always tells you the size measurements while wiping some drool from the corner of his mouth. He did it for Golson pre-game. He did it for Jaylon Smith. Perhaps I just missed it. Now to the game. I would *generally* agree that Zaire had the better performance. The stats bear that out. His reads came out quicker, he was more accurate, and most importantly to me….he looked like he wanted to compete for the starting gig. Golson was perhaps most disappointing with his reluctance to cut the ball loose. This issue plagued him at times during 2012, and I think many hoped he’d display a greater command of progressions after a one year quarterback boot camp. It’s important to remember a few things though: 1) This is but one practice. Folks need to realize Brian Kelly will not be making any final decisions based upon this one game. However, that Zaire looked ready to compete may create some intrigue for the inter web-professional-football-analysis-society from the summer months. 2) When you have 2 mobile quarterbacks battling in a “game” where they can’t be hit, it’s difficult to assess their true effectiveness. The refs were generally willing to let the QB’s continue to run around (and eventually throw) in situations where they will not be as fortunate in game situations. Golson’s rushing TD was a clear example. He scored. In a game, he’d have been pancaked between two rather large defensive players. To go along with this: Why in the WORLD was a screen pass run????? It happened early, but just seemed ludicrous to me. QB can’t be touched (and knows it), line comes flying through…Well executed(?) I suppose. My more general take: First of all, I wet myself just a bit (it was early) to see both of our QB’s scramble, look elusive, and demonstrate plus arm-strength on the run. The Tommy Rees era is over, and I for one (all) couldn’t be happier to have it reaffirmed that it is possible to both run and throw the ball. Both quarterbacks exhibited the arm strength necessary to take advantage of the team’s speed and depth at the wide receiver position. While a function of the flag football game atmosphere, there were many deep attempts and routes down field suggesting a perhaps more vertical passing game while utilizing the TE and RB positions as safety valves. 2. FIELD TURF!!!! OMG OMG OMG OMG OMG OMG OMG: In a super fun troll job by the ND administration, Jack Swarbrick confirmed once and for all that field turf is a-coming to Notre Dame following Spring commencement ceremonies. So many words and blood have been spilled over this topic over the past few years that there’s no need to re-hash it. It’s a business decision, it’s a completely reasonable decision, and it will not impact game play for the negative in any material respect. Something I’ve harped on in the past is that something is not tradition just because it’s been done for a while. Rockne’s teams played on grass because that was more desirable to playing on dirt. ND never jumped the gun to install the horrendous astro-turf surfaces that led to many an injury in the 70’s, 80’s, and 90’s. However, field turf’s come a long way. It’s not tradition to embrace a technological advancement that is more economical, provides greater reliability of playing surface, and doesn’t impact injury concerns. Get with it folks, or tell me why I’m wrong in the comments without mentioning the word “tradition.” I *might* listen then. 3. Hello Running backs: Greg Bryant did Greg Bryant things the way we’d all been Greg Bryant’ing he’d do. See what I did there? I used his name like the word “Smurf” was used back in the day. Bryant, of course, is not smurf. Rather, his speed and agility are more reminiscent of Sonic the Hedgehog coming out of a 360 degree loop and catapulting up into the atmosphere to claim rings and decimate all obstacles in his way. Take the spring game for what it is: confirmation that all angst associated with the unsubstantiated rumors of Bryant’s transfer were well deserved. I look forward to seeing him decimate all obstacles in his way in an effort to claim another type of ring. In the meantime, Tarean Folston was quite active catching passes. Again, there’s a limit to attempting to extrapolate that this is a new trend, but he demonstrated good hands and improvisation as a safety-valve pass catching option. This facet was missing from ND’s offense last year. However, with a return to a more free flowing mobile quarterback style, a good pass catching option coming out of the backfield should not be under-appreciated. Theo Riddick was good at this in 2012 when, you might remember, good things happen for the team at large. I like to see things that *could* convert to a new offensive wrinkle in the season to come, and this fits the bill quite nicely. 4. The Defense…Lost? Okay…what does that mean? I have a difficult time really grading anything that occurs on the defensive side of the ball. The inability to hit/sack the quarterback is such an impediment that it’s difficult to consider the defense’s effectiveness. Add that to the team still learning a new defensive-system and philosophy and the always straight-forward vanilla game plan, and you aren’t left with too many takeaways. I thought Cole Luke looked generally good and made some great plays on the ball in difficult situations. I thought Austin Collinsworth looked severely under-sized and slow attempting to cover the wide receivers, but I’m not going to read too much into that. Perhaps more telling, Brian Kelly during a second half interview explained that he asked BVG to dial back some of the pressure schemes so the offense could get the “looks” it wanted to run plays. Does that mean the line is better than expected? Does it mean the offensive line is a little bit worse? Perhaps a mixture? Yeah….I’ll go with mixture for the day. 5. The BVG: Finally, the most legit thing I saw all day was in fact VanGorder stomping around the sideline. He’s intense, rocks as legit a ‘stache as any in the business, and I give him bonus points for his 1970’s hair dew. I think fans are going to be pleasantly surprised in the short-term with VanGorder’s increased aggression. He comes into a great situation where the experience of the secondary may let him get more exotic up front to compensate for the losses of Louis Nix and Stephon Tuitt. We’ve been down the road of a hyper aggressive defensive coordinator trying to make something out of nothing (I’m looking at you Jon Tenuta), but the caliber of athlete BVG has available is superior to what Tenuta dealt with, and the secondary is an entirely different animal. Perhaps grasping at straws, I also enjoyed seeing BVG on the sidelines. Being cerebral and up in the booth fit Bobby Diaco quite well. The same holds true for seeing VanGorder stalk the sidelines. We now enter the dark days where there won’t be much to report or look forward to for several months. Share your comments or thoughts and feelings about the B/G Game and what you’re looking forward to for 2014 in the comments below. 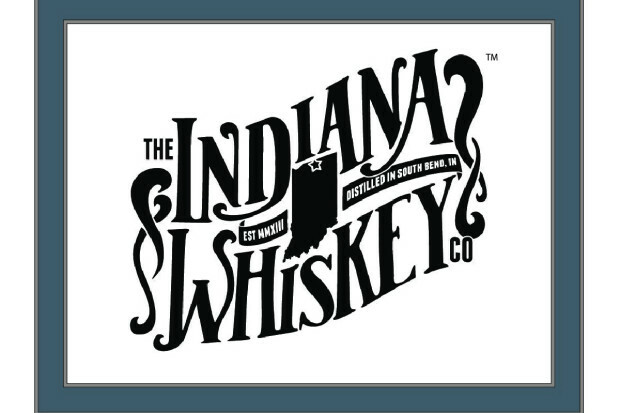 I’m sure Sarge will be back sooner rather than later to fill you in on the Down the Tunnel Tailgate and the reception to our sponsors the Indiana Whiskey Company being gracious enough to come on out this morning.